When parents are faced with the challenges of raising an autistic child or children, they may be at a loss as to how to encourage the special soul on how to practice oral hygiene. Despite the love and guidance they try to bring, the brushing and flossing may be where the biggest struggle is. We at Smile Reef would like share how you can help your little ones with autism practice excellent oral hygiene. Please keep in mind these are merely suggestions, each child is different and as their parent, you know the best approach and application with any of these steps. 1) Offer Choice. Many kids respond well to choice. Allowing them to select their own toothbrush; show them the different colors, styles, and even themes. Many kids do better with a vibrating toothbrush as they search for sensory. In addition to choosing their own toothbrush, have them select a flavor toothpaste and floss. 2) Celebrate and Reward. Offering praise when they brush their own teeth and floss, no matter how good or bad of a job they did is important upon completion. Simply celebrate the child entering the bathroom to perform the hygiene ritual. Praise them as they prepare the toothbrush by running it on the water, followed by the application of toothpaste. Continue to offer the praise until they have left the bathroom. When it comes to rewarding them consider using a token board, draw each step or use pictures. As your child completes each step praise them and reward them with a sticker to be placed on each step. Offer a prize at the end of completing the task. Eventually extend it to weekly rewards and then monthly until a reward is no longer needed. Use a reward jar filled with prizes and tokens to continue to encourage them. 3) Games. Play the “my turn your turn” game. Start by touching the toothbrush to your mouth, and then have your child copy the movement. Continue this same pattern with every step of brushing and flossing. If the games are fitting, distract them with their favorite book or song. Simply making the process more enjoyable will make the activity less of a challenge. With praise and rewards, high-fives and fist bumps, cheers, and turning the brushing and flossing into games and fun activities, your child will grow into practicing their oral hygiene habits. Like everything, it is important to remember patience in your endeavor. Additionally, allow your child to watch you brush and floss as well as let them come with you when you visit the dentist. If you are looking for a pediatric dentist to take care of the professional cleanings and procedures of your autistic child’s needs, consider Smile Reef. Our experts are formally trained and licensed to perform procedures on your special needs child and have the compassion and patience to make the process as comfortable as possible. 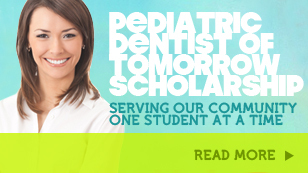 Call Smile Reef today to schedule your child’s next appointment. 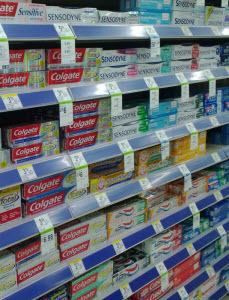 When you go to the store to pick up some toothpaste you are likely to be assaulted by shelves full of options. The choices available are seemingly endless and they each claim to be the best! Trying to find the right one for your child can end up with you just grabbing anything. Using toothpaste to cleanse your teeth is a great idea but there are some different factors about different toothpastes that you may not know. There are many types, flavors, colors and even ingredients that can differ from one to another. The problem is that you might not be sure what you are even looking for. Fluoride Is A Great Additive: When you go looking through the hundreds of options, you need to start somewhere. You can start by looking for a particular ingredient that is great at protecting children and adults teeth. Fluoride can be found in tap water in most homes but having it in your toothpaste is another level of protection. Studies have shown that fluoride helps to prevent tooth decay and can help with the health of your gums too. No matter what type of toothpaste you have your child use, you want to make sure they spit out and rinse what they can after. Toothpaste Flavors: Although this is not a reason to choose a particular type of toothpaste it may help with encouraging your child to brush. The flavor of the toothpaste should be taken into account when you are dealing with toddlers and young children. Many toothpaste brands offer fruity flavors such as bubblegum, strawberry and watermelon that are less harsh than the standard mint flavors used by adults. The flavor does not have any bearing on its benefits but a kid that enjoys to brush is better than one that hates it. Using an enjoyable flavor may be your way to get your child to brush on a regular basis. Style of Toothpaste: You can go look at the style of toothpastes and normally you will see gel, paste and even powder. This is really more for your own preference and what you like to use. They are just manufactured different but two of the same brand in each medium will have the same benefits. Extra Abrasive Agents: When you brush your teeth the majority of the toothpastes are smooth without any extra abrasives. If your child has teeth that seem to collect extra food particles you may want to choose a toothpaste that has an extra additive. This can help like a salt scrub for your skin. It can help to collect those harder to remove plaque and food particles. Tartar Control: Tartar is a battle that is hard to deal with because it comes after you have allowed the plaque to sit on your teeth. You want to catch a tartar problem before it occurs and that is with proper brushing and professional cleanings. If you feel that tartar is a problem in your home you can use a toothpaste that has tartar control agents in it. Smile Reef offers dental exams and treatments for pediatric patients so call to make your appointment today.